Cactus juice is used as a folk medicine to treat a number of inflammatory conditions, such as gastritis, asthma, bronchitis and hepatitis. While many species of cactus, such as prickly pear and nopales, are well-known for their culinary and nutritional benefits, the scientific community has only recently begun to support the value of using these plants in medicine. Consult a registered medical herbalist or a doctor before purchasing cactus juice products, to make sure they are safe for you to take. Cactus contains a range of nutrients and antioxidants, including vitamins C, E, A, iron, calcium, carotenoids, quercetin and rutin. While many of these chemicals help to reduce inflammatory responses, another chemical is credited with the anti-inflammatory properties of cactus. In a study published in "Fitoterapia" in 2001, researchers from Sookmyung Women's University in South Korea decided to determine the anti-inflammatory chemical in the cactus plant. After verifying that cactus extract had a significant anti-inflammatory action on mice with chronic inflammation, researchers isolated the single chemical responsible: beta-sitosterol. Beta-sitosterol is a plant sterol that is found in other herbal products, such as saw palmetto and nigella sativa, and has cholesterol-lowering, inflammation-inhibiting and testosterone-balancing actions. According to a study published in "The Journal of Ethnopharmacology" in 1999, researchers from the University of Las Palmas in Spain discovered cactus has both anti-inflammatory and pain-relieving actions in animals. When tested on rats with artificially induced inflammation, the cactus taken internally reduced pain and inflammation in a dose-dependent manner. Researchers concluded that cactus likely inhibits the release of pro-inflammatory chemicals in the body called prostaglandins, accounting for its anti-inflammatory and analgesic properties. In the future, cactus may provide new treatments for chronic inflammatory diseases where prostaglandins play a role, such as asthma, allergies, dermatitis, arthritis, migraines and psoriasis. 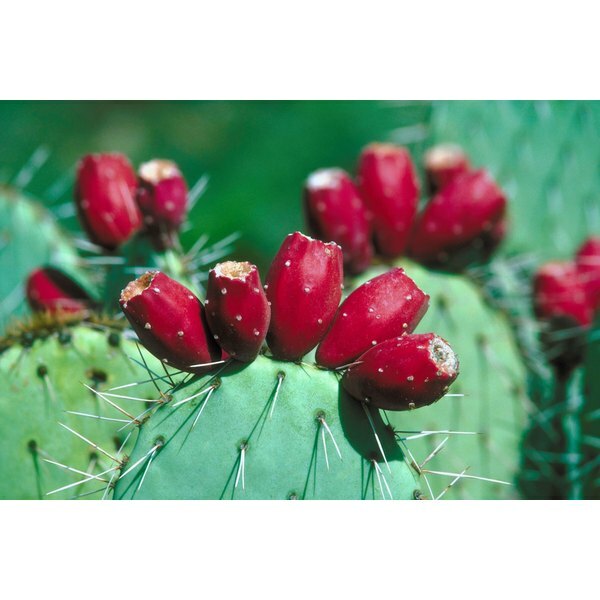 In a clinical trial published in "Archives of Internal Medicine" in 2004, researchers from the Tulane Health Sciences Center in the USA studied the effects of a cactus called opuntia ficis indica on adults experiencing hangover. Cactus extract had a significant effect on people when taken internally five hours before consuming alcohol, reducing the symptoms of hangover and the risk of experiencing a hangover by up to half. Researchers concluded cactus reduced symptoms of hangovers by directly reducing inflammation in the body, which is produced by high alcohol consumption. Many species of cactus are considered safe, non-toxic and edible. According to Drug Information Online, some skin reactions have been reported from touching the skin and horns of the prickly pear cactus, however. Some species of cactus have been found to cause an increase in blood pressure, and may cause damage to the kidneys. Consult your doctor before purchasing cactus juice products, as they may interact with some medications.